Marketers have a love-hate relationship with QR Codes. Some say that they don’t work. But we differ. We believe that QR Codes are an excellent way (and in some cases the only way) to connect consumers from print to dynamic online media. In 2011, the popular American food chain Chili’s ran a fundraising campaign for St. Jude’s Hospital. Each campaign material had a QR Code to prompt the guests to donate money for the cause. Furthermore, guests rewarded with free appetizers if they forwarded an opt-in email to their friends and family. During the campaign, Chili’s got 291,000 scans and collected USD 5 million in donation. 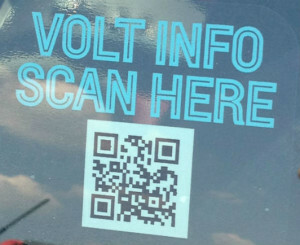 In 2010, General Motors, while showcasing it’s two new vehicle models – The Electric and The Volt, placed 15 unique QR codes on the body of the two cars. Scanning the QR Codes using a smartphone, redirected visitors to a micro-site that provided complete details of the respective part of the car. It was estimated that 2% (~2,400) of the entire scanned at least one QR Code and 8.5% (of the total 2%) scanned multiple QR Codes. According to General Motors, the QR Code campaign was the most talked about event and got up to 1,680,230 impressions on blogs, Twitter, and other social media. In 2010, National Entertainment Company entered into a sponsorship agreement with National Fast Food chain and hired Sir Speedy to promote a concert and sell its tickets. 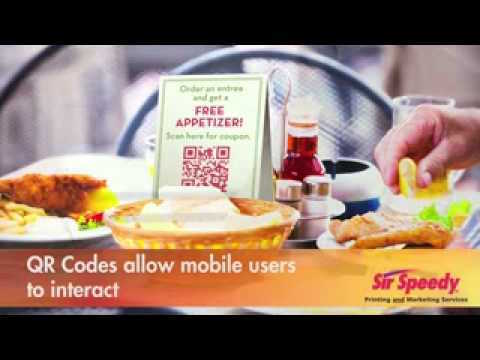 Sir Speedy placed QR Codes on approx. 100,000 soda cups at a local outlet of National Fast Food. Scanning the QR Code prompted guests to download the restaurant’s app, view concert timings, read about the band, and purchase tickets. In the first release, the QR Codes received ~1,000 scans. The campaign also raised the number of app downloads of the restaurant chain and helped spread word of the concert. 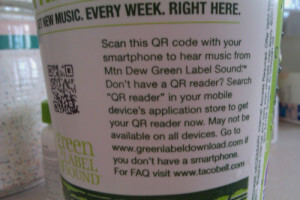 In 2011, Mountain Dew, collaborated with Taco Bell for a campaign that allowed guests to scan and download music for free via greenlabeldownload website, a Mountain Dew and Taco Bell branded music download center. The campaign got 197,106 scans. In 2012, Heinz printed a QR Code on ketchup bottles in US restaurants to promote it’s new environment-friendly packaging. Scanning the QR Code directed to a mobile contest with questions on sustainability. 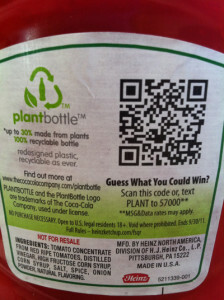 Heinz reported that they received ~1 million scans via these QR Codes. In 2012, L’Oreal placed a QR Code in each New York City taxi during New York Fashion Week. This allowed people to browse and shop L’Oreal products while riding a taxi. This five-day QR Code campaign had a 7% conversion rate and increased L’Oreal app downloads by 80%. 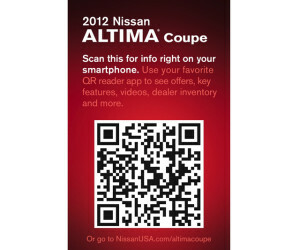 In 2011, automobile manufacturer Nissan added a QR Code sticker on every window of the 2012 lineup vehicles to provide information about the vehicle and its accessories, image gallery, product review videos, incentive offers, dealer inventory, request a quote capability, dealer location support, and mailing list request. 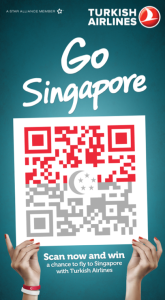 In 2013, Singapore’s largest shopping mall used a QR Code to engage visitors and increase their Facebook fan-page following. 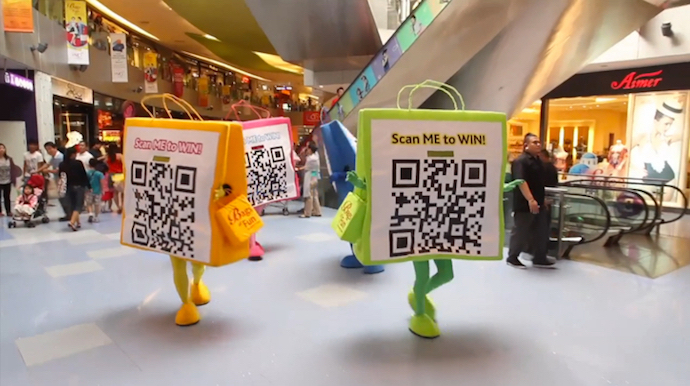 During ‘The Great Singapore Sale’ mascots named VivoCity Codey’s were dressed up as QR Codes and they encouraged visitors to scan them. Scanning the QR Code, took visitors to a contest page where they could win prizes. They had to ‘Like’ the mall’s Facebook page. The Vivocity Codey’s saw 8,618 scans and the mall managed to increase their Facebook Likes by 4,400. 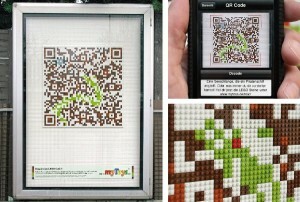 In 2009, Mytoys.de, an online store for toys, ran an outdoor campaign where they created QR Codes using LEGO bricks. When scanned, the QR Codes directed users to their online store where they could purchase the LEGO bricks used to create the QR Code. With this campaign, the store saw a 49% increase in the sales of LEGO. In 2011, Kellogg’s partnered with a mobile technology company Augume and organized a QR Code campaign to increase promotion and engagement of the product via mobile. 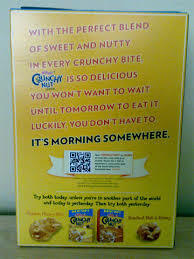 Kellogg’s placed a QR Code on the back of the Crunchy Nut Cereal box with the slogan “it’s morning somewhere“. Scanning the QR Code, directed people to a short video (amongst 13) depending on the time of the day. As reported by Kellogg’s, the campaign generated 40,000 scans, 38,000 videos played, and 50,000 page views. Tesco was aiming to become the No. 1 retail grocery chain in Korea without increasing the no. of stores. To achieve this, in 2009, Tesco, created a virtual store in subway stations and added QR Code to each product listing. On scanning the QR Code, shoppers could add the products to a virtual cart, make online payments, and get delivery at their specified time and address. The campaign increased Tesco’s revenue by 130% and customers by 76%. During the London Olympics in 2012, Turkish Airlines ran a contest and placed QR Codes around the city’s bus stops offering a chance to win free tickets to the destination mentioned on the campaign. The campaign attracted ~20,000 visits to the airlines’ website. 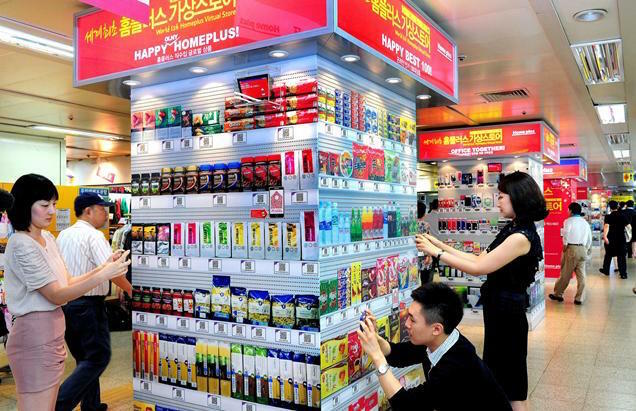 In 2012, Korean retailer Emart realized that it had low sales in the afternoon between 12 pm – 1pm everyday. The retailer used a customized shadowed QR Code at different locations, which was scannable only during lunch hours i.e between 12 pm to 1 pm. Name of the campaign was ‘The Sunny Sale‘. Scanning the QR Code offered people various offers and coupon codes. The campaign increased sales by 25% during lunch hours and increased number of customers by 58%. In 2011, wireless communication provider Verizon in San Francisco used QR Codes in its referral program to increase sales of it’s smartphone via social media. 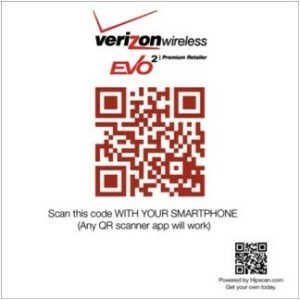 They placed a QR Code in Verizon stores and encouraged in-store customers to scan and share a link on their Facebook wall. If anyone purchased a phone using the link, they too would get a smartphone free of cost. This smart campaign got 150,000 scans and generated an ROI of $35,000 with only $1,000 investment. In 2011, Taco bell used a QR Code, this time in collaboration with ESPN on its product and drinking cups to promote ‘Bowl Championship Series’ college football games. On scanning the QR Code, users were able to see the football match video and the schedule of the upcoming matches. The campaign got a total of 225,000 scans. 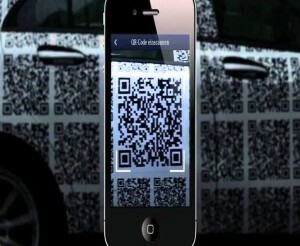 In 2011, luxury car-maker Mercedes placed QR Codes all over the body of a new car model and drove it around the city. On scanning the QR Codes, people could collect ‘trophies’. On collecting four trophies, participants could win a trip to world premier of the Mercedes Benz A Class. In a very low marketing budget, Mercedes’ new model was on every one’s mind and took over the print media, online media as well as broadcast media. 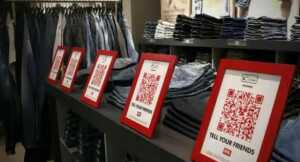 In 2011, clothing company Diesel used several QR Codes in its store to get ‘real’ Facebook Likes. On scanning the QR Code, shoppers were directed to the brand’s Facebook page and were asked to Like the page. Shoppers received the incentive of making purchases online. 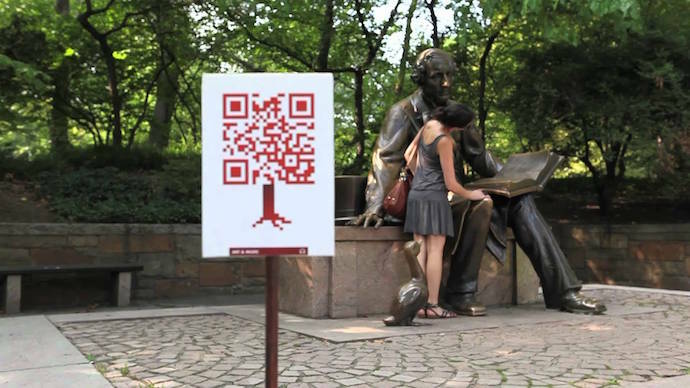 In 2010, New York City’s Central Park organized a QR Code campaign to reinvent the park’s experience and named it ‘The World Park Campaign’. They placed QR Codes on different places in the park and called them ‘Parkodes’. More than 50 Parkodes were placed around the park. They gave visitors a map and scorecard at the entry of the park. On scanning the QR Code, people has to answers questions based on park’s history, music, culture, science and geology and answered by text, video and photos on a microsite. This way the campaign raised the awareness and engagement of the park in the city. Its was reported, more than 1,800 visitors scanned the QR Codes. In 2012, beverages company Guinness wanted to be the most talked about brand in bars. 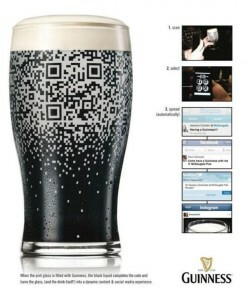 To achieve this, the brand manufactured special Guinness QR Cups for bars. The cups were customized in such a way that when filled with Guinness beer, a QR Code appeared on them. The QR code was unreadable with any other beer filled. On scanning the QR Code, guests could get promotional coupons, update Facebook status, Tweet, and invite friends to join them. 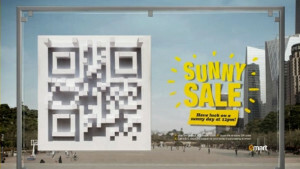 Campaign above show that QR Code-based marketing campaigns can be successful with the right creativity and implementation. In fact, QR Codes make more sense now than ever given that every target consumer owns a smartphone and has access to fast mobile internet. Every brand may not be able to design marketing campaigns around QR Codes but every print material should definitely have QR Codes to connect consumers from offline to online media. 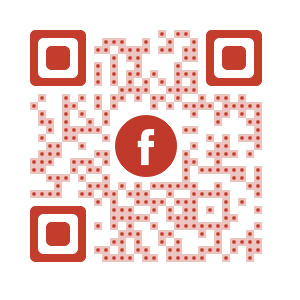 Creating your first QR Code marketing campaign. I can’t help but notice the most recent successful QR code campaign in this list is dated 2013 and many are considerably older. Has the use of QR codes for marketing campaigns fallen from favor? Are there any examples of campaigns that have been successful in 2017 or 2018?